pressure along with stretching of relaxed muscles to release fatigue. This massage adds a few special techniques to the relaxing massage. pain, lower back pain, tennis elbow, and carpal tunnel syndrome. completely therapeutic and all you will feel is complete relaxation. pressure, on all areas of the body. 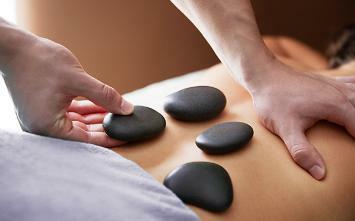 aromatherapy, hot basalt stones and special neuro-muscular attention to those problem areas. A menthol mask will then be applied to your hands and feet with a sealing layer of hot paraffin. fear your dedicated therapist will be happy to provide assistance at no additional charge.